This post is part of a series for older travellers. 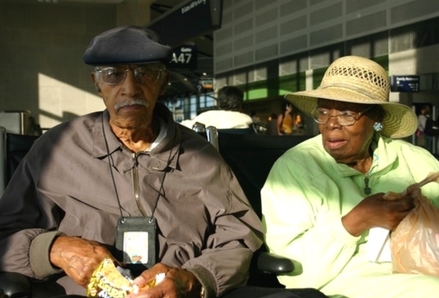 Read Tips for older travellers: Reducing travel stress. Cardiovascular conditions like heart attack, heart failure, and stroke can affect people of any age, but are more common among people over the age of 70. They are the leading causes of air evacuations, along with injuries and psychiatric emergencies. Here’s the good news: International travel is both possible and enjoyable if your heart condition is stable. As long as your condition is well-managed and your doctor clears you for travel, there’s no reason to avoid travelling. Note: Do not travel by air within 2 weeks of a heart attack. Even if you feel well, talk to your doctor to make sure you’re fit for travel. Make an appointment with your doctor to ensure that you’re physically fit for the activities you’re planning. Even leisurely trips can become exhausting if you’re walking more than usual! Your doctor may send you for an electrocardiogram to confirm that your condition is stable. Be aware that some travel-related medications (such as the antimalarial mefloquine) should not be used by people with heart disease. A visit to the doctor is also a good reminder to ensure that your routine immunizations and travel vaccines are up-to-date, including protection against Pneumococcal Disease, Varicella-Zoster virus, and Influenza. If you use oxygen or a portable oxygen concentrator (POC), make arrangements at least 3 weeks before your trip. Contact your airline to coordinate oxygen on the flight and contact a specialized medical company for oxygen at your destination. If you use a POC, get approval from your airline at least 3 weeks before your flight. Travellers who have heart failure or coronary heart disease may also need in-flight oxygen due to lower air pressure in the cabin. Regulations differ between airlines and some will charge an additional fee. The European Lung Foundation maintains a database of oxygen-related services offered by airlines in Europe and Oxygen Solutions provides a list of airlines that allow POCs. OxyTravel coordinates oxygen services for travellers and Aeromedic provides FAA-approved oxygen concentrators for travellers. Travel health insurance can help you avoid financial problems from unexpected illnesses, but it’s complicated to find coverage for older travellers with pre-existing medical conditions. Unfortunately, many policies lump all travellers with heart conditions together. This means that insurers may treat you the same way regardless of whether you have one stent but are otherwise healthy or if you have had a triple bypass, are on many drugs, and may have difficulty travelling. Travellers over the age of 50 are often asked to fill out a medical questionnaire. Disclose all past diagnoses, tests, and changes in medication. If you’re unsure, ask your doctor for help or get access to your medical file. Providing incorrect information on the medical questionnaire – even by accident – can be grounds to deny a claim. When in doubt about medical or legal terminology, including how exclusions and limitations will affect your coverage, call your insurer. The stress of flying and navigating airports can take a toll on your health. Plan a low-stress route with lots of extra time for getting to the airport and making connections. If you need assistance with your bags or transportation within the airport terminal, contact the airline before your trip to coordinate mobility assistance such as a wheelchair. Read more about travel stress in part 1 of this series. It’s a good idea to locate doctors at your destination before you leave home. Your doctor or cardiologist may be able to refer you to a cardiologist in your host country. If you are taking Warfarin, your doctor may recommend that you have your international normalized ratio (INR) levels checked during your trip. This can be done with an accurate portable INR testing (point-of-care) device or your doctor may be able to refer you to INR monitoring clinics at your destination. Talk to your doctor about therapy adjustment across 6 or more time zones. This may include increasing or decreasing the dose or taking it earlier or later than you normally would. Be careful about dietary changes, alcohol consumption and new medication which will require more frequent INR testing. Alternatively, novel oral anticoagulants (NOACs) are not affected by dietary changes, but they can affect kidney function. If you’re taking NOACs, ask your doctor how to manage this during travel. Choose activities that are appropriate for your health and fitness level. Group tours can be very taxing. Don’t feel pressured to participate in every activity. If you are feeling tired or stressed, consider taking a day or half day off the schedule. Tell your group leader and take the time to rest. Talk to your doctor if you are planning activities that could be affected by your condition or medication. For example, rock climbing carries an increased risk of falls, which can be especially risky if you are taking anticoagulation medication. If you have an implanted medical device such as a pacemaker or implanted cardiac defibrillator (ICD), carry a letter from your doctor or cardiologist specifying the device manufacturer, brand, model name and number, and date of insertion. Show the letter to security personnel. Request a hand search instead of passing through the scanner. Ask security personnel to avoid passing over your device with the hand-held metal detection security wand. Every country has different regulations for travellers carrying medications. In most countries, travellers can bring a supply of medication for personal use. You can typically bring medication for 30-90 days, depending on the medication. Check with the embassy of your destination country before your trip. Always keep medication in its original packaging and bring a letter from your doctor describing your health condition and why you need the medication. Carry the medication in your carry on – not in your checked luggage. Bring a copy of your latest electrocardiogram results and prescription script. If your medication gets lost or stolen, having your results and prescription with you will make it easier to communicate with a local doctor and refill the medication. Traveller’s Diarrhea can pose a danger if you are on anticoagulation therapy or high blood pressure medication for chronic hypertension. Electrolyte and fluid imbalances can be life-threatening with a cardiac condition. In the case of Warfarin, diarrhea interferes with its absorption. Pack over-the-counter Oral Rehydration Salts and talk to your doctor about taking an antibiotic for treatment of moderate and severe diarrhea (more than 3-5 stools a day). Due to the medication you are taking, some antibiotics may not be recommended. Seek medical attention immediately if the diarrhea does not improve after 1 day. Avoid extremely hot or cold environments and destinations with heavy air pollution, all of which put additional stress on your heart. Talk to your doctor if you are planning to travel to high altitude (over 2,400 m / 7,874 ft) as your doctor may adjust the dosage of your medication. Travellers who have had a heart attack in the last 6 months or who have symptomatic heart failure should not travel to high altitude. Deep Vein Thrombosis (DVT) occurs when blood clots develop in deep veins (usually in the legs). The biggest risk for DVT is sitting for long periods of time – such as flights or car trips over 4 hours. DVT is a serious condition and can become life-threatening if blood clots travel to the lungs. The best thing you can do to prevent DVT is to limit the amount of time you spend sitting. If you are at higher risk of DVT, your doctor may fit you for compression stockings to wear during the flight or other long-haul travel. Doctors listed in our Medical Directory can check your INR levels or refer you to a local clinic or hospital. Log in to your member account to access the Medical Directory. Disabilities and medical conditions – Transport Security Administration: Information about flying in the United States with medications, pacemakers, implanted defibrillators, and portable oxygen concentrators. Pack safe: Oxygen (compressed or liquid) – Federal Aviation Administration: Regulations on flying with oxygen in the United States. Specific information by health condition, disability or medical need – Canadian Air Transport Security Authority: Information about flying in Canada with portable oxygen concentrators, oxygen, pacemakers, and implanted defibrillators. This article was written with information from The Older Traveller: A guide for the health professional and Dr. Gerard Flaherty’s presentation “Cardiovascular Disease and Travel” at the South African Society of Travel Medicine biennial congress Travel Health Africa on September 29th, 2016. Stock photo by FreeImages.com/Anissa Thompson.